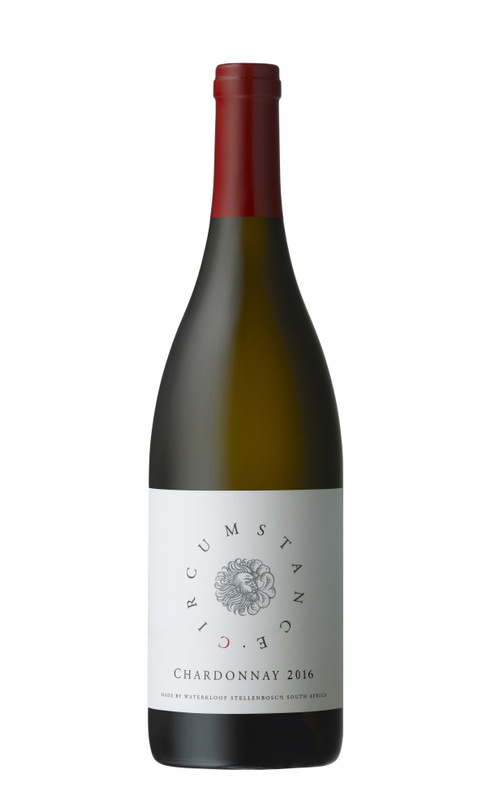 Circumstance Chardonnay is produced from 20 year old vines on the windswept, low-yielding slopes of the Schapenberg, nestled on the coastal outskirts of Stellenbosch. We abide by organic and biodynamic winemaking methods based on Old World, sustainable practices in our vineyards to ensure that the vines are nourished, healthy and in balance. Our soils are free of chemicals and are kept healthy by using plant extracts, fungi and bacteria from our own organic compost. These traditional methods ensure a balanced vine that produces small yields and intense flavours. The vineyards are about four kilometers from the sea and are planted at a height of 270 to 300 meters above sea level. The soils are of sandstone origin with medium-sized stones helping with drainage and moisture retention. Production was approximately 5 t/ha. 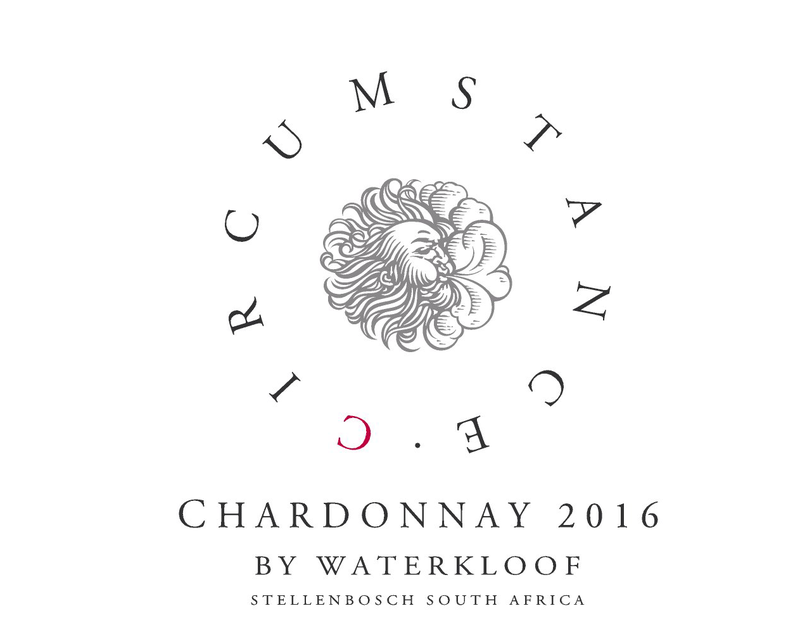 Waterkloof’s winemaking philosophy is the same for all our premium white wines. We follow a traditional, minimalist approach which means that we interfere as little as possible with the winemaking process. This allows the flavours prevalent in that specific vineyard to be expressed in the bottle. All grapes are picked on taste and whole-bunch pressed for the gentle extraction of the purest juices. It is then allowed to settle for 24 hours without the addition of any settling agents, after which we rack the clean juice to our concrete egg fermenter. This wine fermented for about 4 months and was left on the primary lees without the addition of sulphur for a further 4 months. At Waterkloof we also rely on natural, wild yeast fermentation to allow a slow release of aromas and a more structured palate. The Cape did not experience a very cold winter in 2015, with near perfect days lingering at 20°C. The evenings were cold but not excessively so. We also experienced the driest winter to date with half the normal rainfall. Budburst took place at the beginning of September which was definitely earlier than usual. It was a proper spring with lots of sun and warm temperatures. We started picking a week earlier than last year (which was already early). A lot of producers were significantly down on crop yield (some even up to 50%). Fortunately, our biodynamic vines have a deep root system (approximately six metres deep), compared to conventional vineyards (digging only one meter deep) and we were not down on yield by too much. With the berries being very small this year the flavours were fantastic. Some raisins still developed on the later varietals, which we got rid of in the cellar. The skins on the reds were thicker than normal but brimming with concentration. A restrained wine with notes of stone fruit, flintiness and lime on the nose. The palate is well balanced with fresh acidity and a lingering aftertaste. Numerous dishes will complement this wine but we recommend a prawn risotto as the acid will balance out the richness of the pasta.